Google is stepping up its efforts to target the enterprise, with new hardware and software integrations intended to make its Chrome browser and Chromebook computers central to the workplace. The company will open up its Chromebook laptops to let other services integrate more tightly with them, it announced Wednesday. It’s starting with Box, so Chromebooks users will be able to access Box files as easily as files stored in Google’s own services. It’s also upgrading its video conferencing system, Chromebox for Meetings, to serve larger groups. The device will get a pan-tilt cameras for big conference rooms, and Google is working with HP, Dell and Acer to deliver the system to customers. Lastly, Google says it will make it easier for customers to use its Chromebooks for a single, dedicated task. It gave the example of digital signage; customers will be able to manage thousands of digital signs from a central console, it says. It made the announcements Wednesday in a webcast about Google for Work, the umbrella name for its enterprise efforts. Its pitch to businesses is that the workplace has changed from 10 years ago and most workers are no longer tied to a single PC. People use an average of four devices for work, including tablets, smartphones, and home and work PCs, said Rajen Sheth, director of product management for Android and Chrome for Work. We need to move to a world where people can use the right device at the right time to access their work, he said. Even more Internet connected devices are on the way—Google estimates there will be 75 billion by 2020 - many of which haven’t been thought of yet. People may soon be using 40 devices in their daily lives, according to Sheth. Google’s answer is its Chromebooks hardware and Chrome browser, the technologies that underlie Google for Work. And its challenge is to convince millions of businesses still using PCs and Windows applications to make a switch. Sheth claimed that, recently, most workplace applications are now mobile and web-based rather than Windows applications, though he didn’t provide a source for that data point. 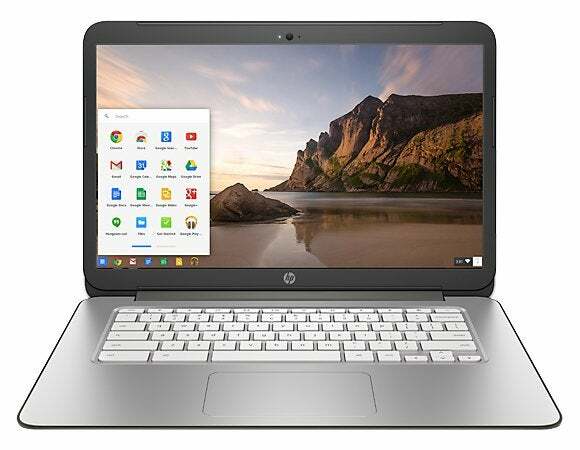 Chromebooks can run browser and Android applications, he said, and they can also run Windows applications through virtualization technologies from Citrix and Vmware. And Google claims it can help companies manage thousands of Chrome devices spread across multiple locations, without needing a bit IT support staff. The company is providing more details about its Google for Work efforts in the event Wednesday morning.